I started thinking about this blog post yesterday and I am finally writing it. We fly tomorrow and I am determined to fly light. We are checking one suitcase between us so I am looking at everything I want to put in my carry-on very closely. And I am unsure as to what journal to take. Do I take my Blue Filigree or the Winnable? Both are rather large but I want to continue internal conversations in each of them, along with my thoughts and feelings as the week away unfolds. I want to take my Filofax Flex so should I just add another notebook and use that? I’ve also thought a lot about having a dedicated journal for travel. I do have the Road Trip Journal but I wanted something more detailed. I imagine flipping through all our previous trips when I am an old woman and can’t travel any more. But here’s the problem: there is no such journal. I can’t just grab it and go on a new adventure and write about it. I tend to start a new journal for each trip. I made a custom journal for my trip to London (the journal featured in the picture for this blog) and another custom journal for our last trip to Halifax. And I am tempted to start a whole new journal for this little adventure, even though we are only gone for a week and not travelling that far, relatively. What to do?? I think I will go with the Winnable, as it is large enough for my brain to spread out and light enough to not weigh me down too much. And even if I wanted to bring the heavier Blue Filigree I can always throw it in the checked luggage. We are on the plane for about an hour and a half so really, how much writing will actually occur? I think I will survive with a book and some bad reality tv in the back of the seat in front of me. 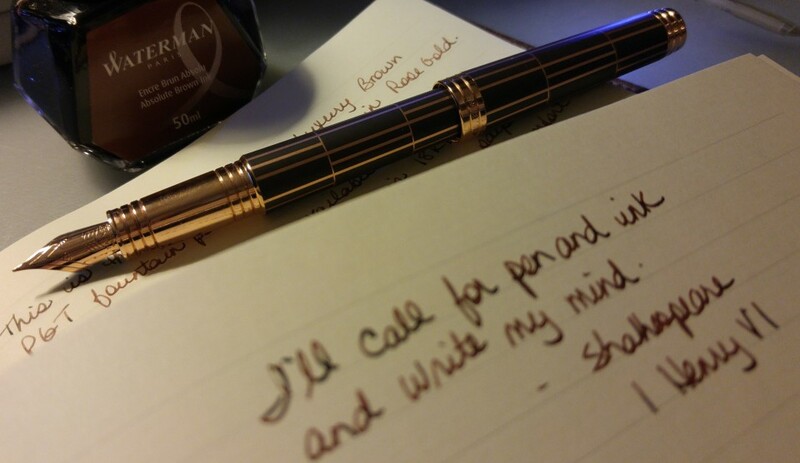 And then there was the question of the pen. I do have quite a number to choose from so it can be a problem. I have decided on my two Primas and my Parker Urban. I topped each off with their respective inks and hopefully they won’t explode on the plane (urban myth I expect but you never know). 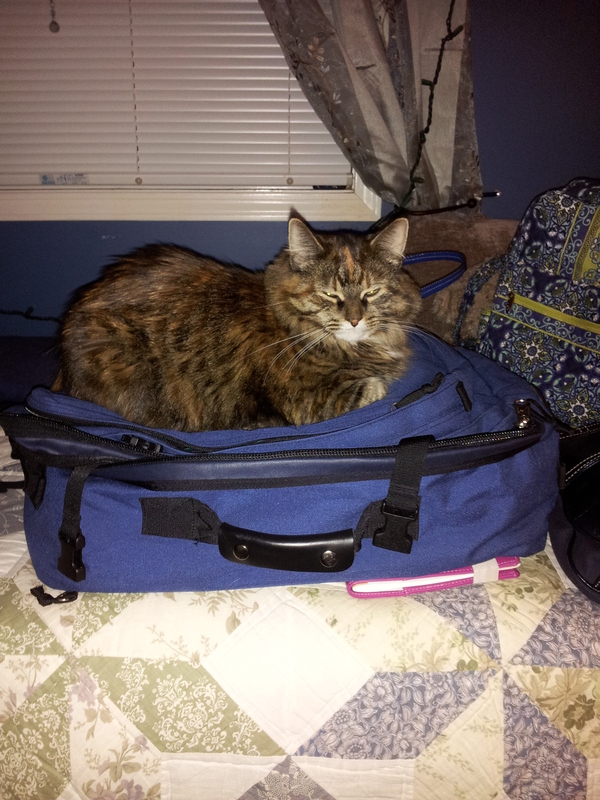 Halley is determined to be one of my carry on items. Well, I love what you’ve chosen to take with you on holiday. One must always have something sensational to read on the train (plane)! Yes I made the right choice. The Winnable is already getting a good workout!